We’ve got a lot of awesome community events happening this week, so we thought we’d share a quick round-up! Read about ‘em, pencil them in your calendar and join us for some local fun to help local families! Are you going to see The Boss at the PNC Arena tomorrow? We are, too! (And couldn’t be more excited!) Bruce shows his commitment to hunger relief by partnering with local food banks across the country, and we are so grateful to be the chosen food bank at his Raleigh concert! So remember to bring your monetary donation tomorrow to the show, and stop by and see us at our information table! 1 in 4 children in NC will go hungry tonight. Join the News & Observer and help “Feed the Need” in our communities! 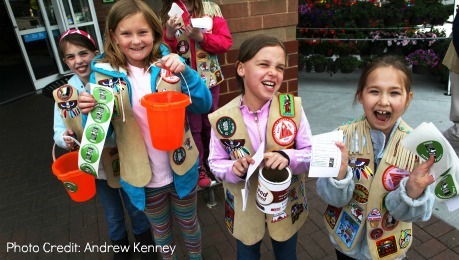 Drop your food donations at your local Harris Teeter from April 1-26 or come on out for a special “Feed the Need Day” this Saturday, April 26 from 10:00 am – 1:00 pm at 5 select stores. For more information and store locations, visit: www.feedtheneednc.com. Special thanks to the N&O, Harris Teeter and Syngenta for raising awareness about children at risk of hunger in our communities and collecting donations to support our programs that feed children in need. 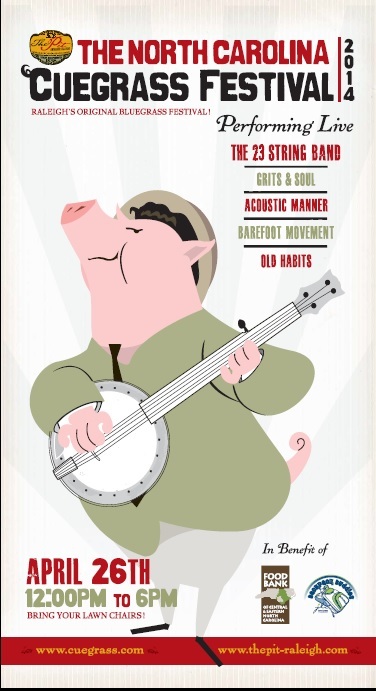 The Pit’s 6th Annual ‘Cuegrass Festival returns to Raleigh this Saturday, April 26, with a jam-packed day full of great food and music, with some proceeds benefiting the Food Bank! Get all the details here: www.cuegrass.com. Whew, what a line up! 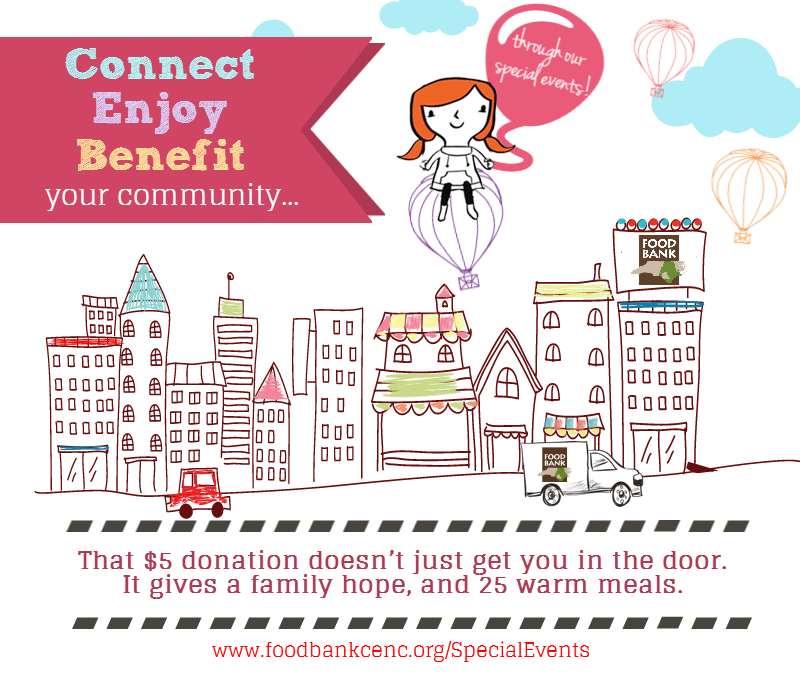 At the Food Bank, we often have a lot of events going on. So why do we do it? Why are our special events important, why do they matter to those we serve? It’s simple: They connect us to the community and raise money for hunger relief. 97 cents of every dollar donated to the Food Bank goes toward food and food programs. Also, with every dollar donation, the Food Bank can distribute $10 worth of food or five meals. In fact, just this month, our Iron Skillet event in Wilmington raised $4,529, equivalent to 22,645 meals. And at Cedar Creek Gallery’s Spring Festival we raised $3,424, equivalent to 17,120 meals. So that $5 you put in our donation bucket at that event last weekend truly goes a long way for families in need. And did we mention they’re fun? 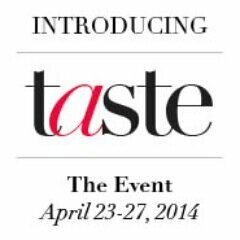 April 23, 2014 in Special Events.